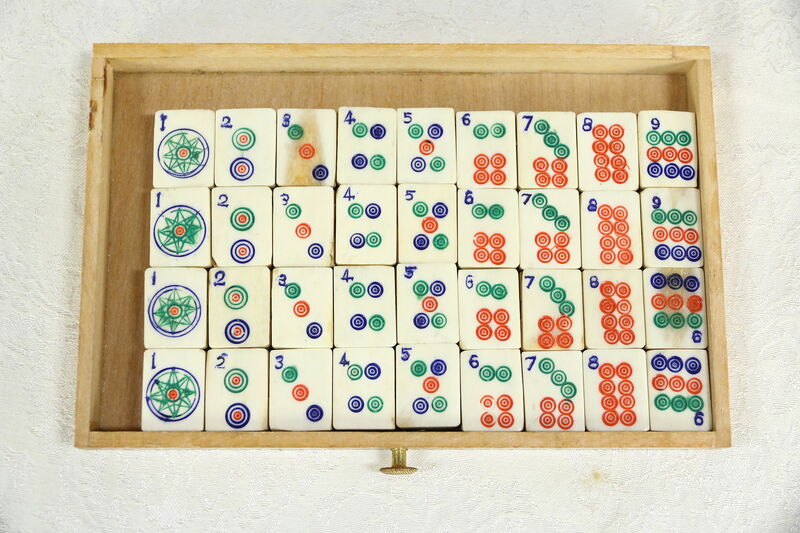 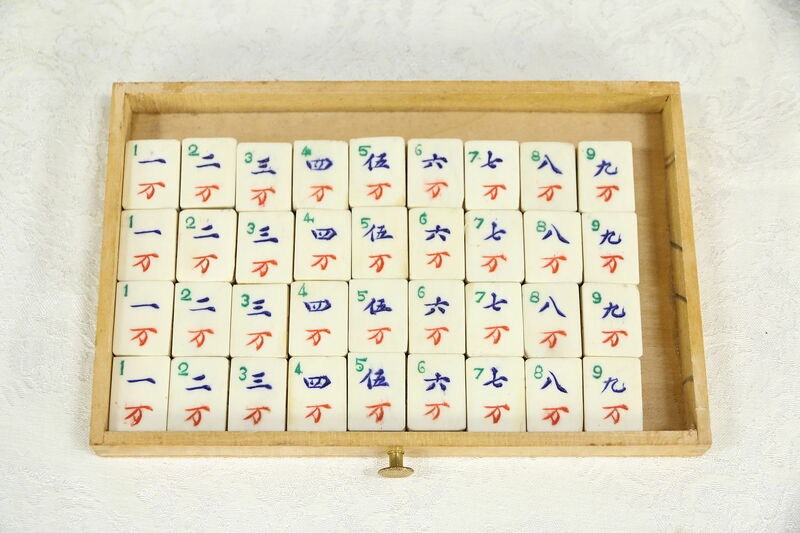 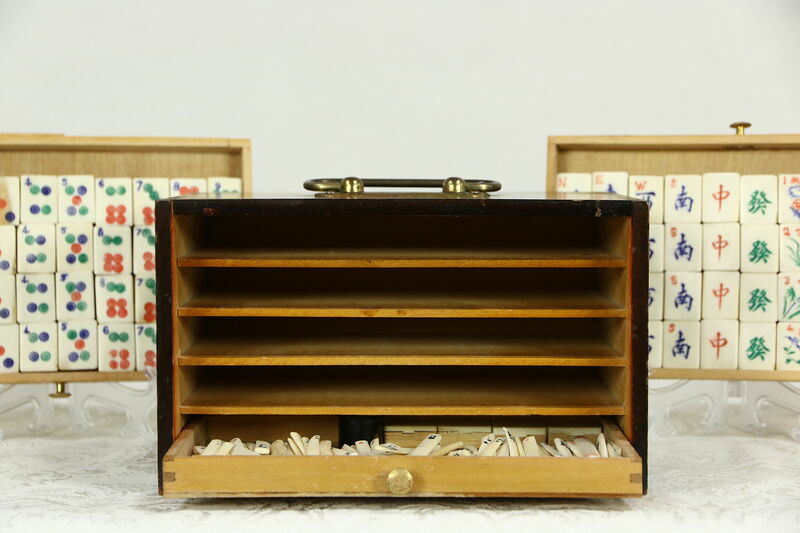 A Mah Jong set is in an ash case with dovetailed joints and a sliding front door dates from about 60 years ago, made in China. 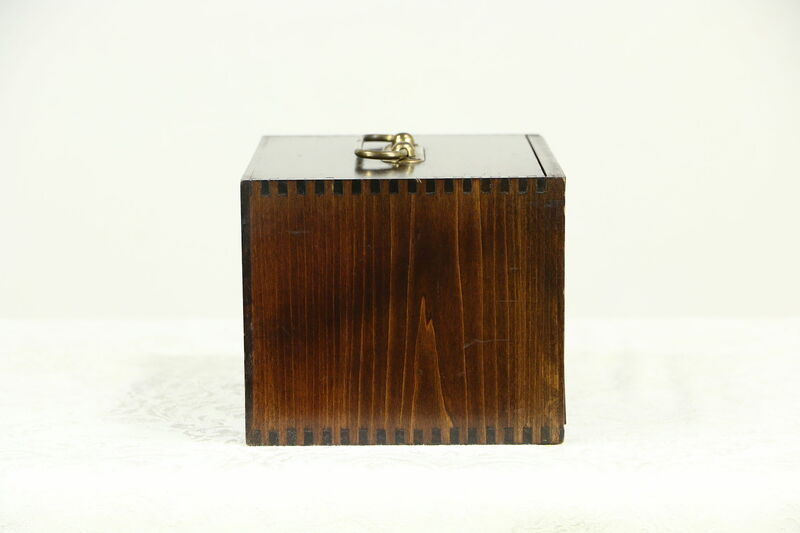 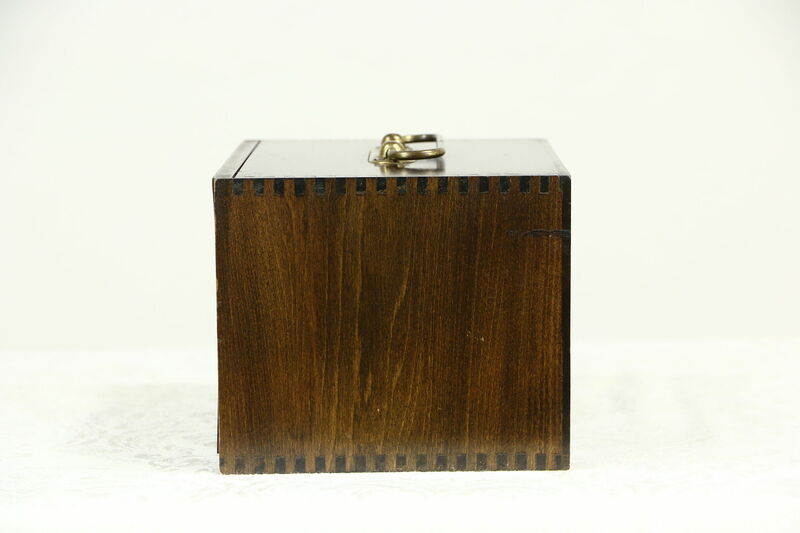 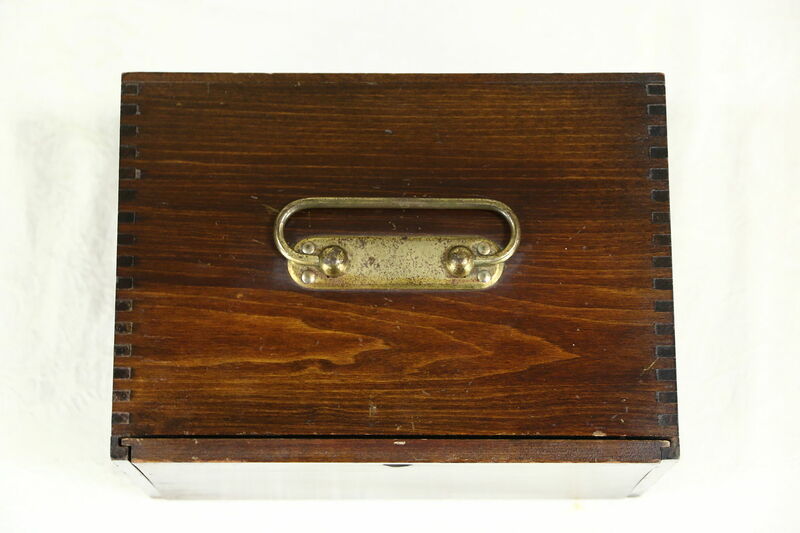 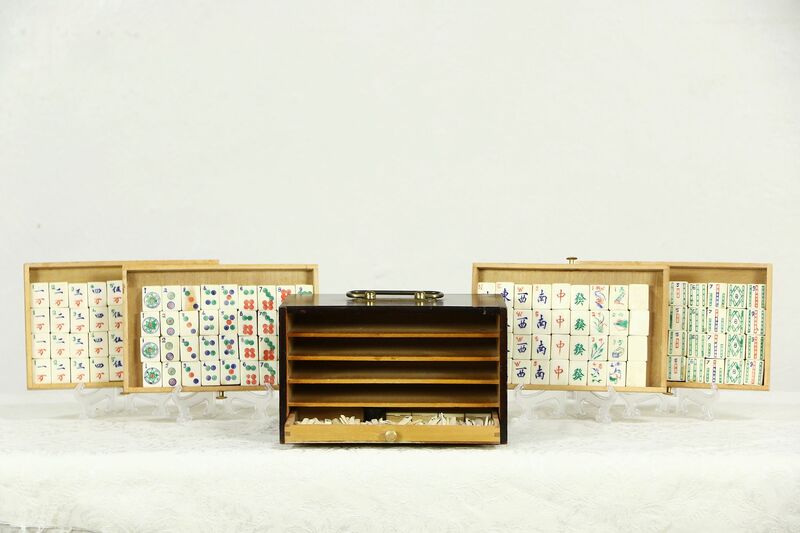 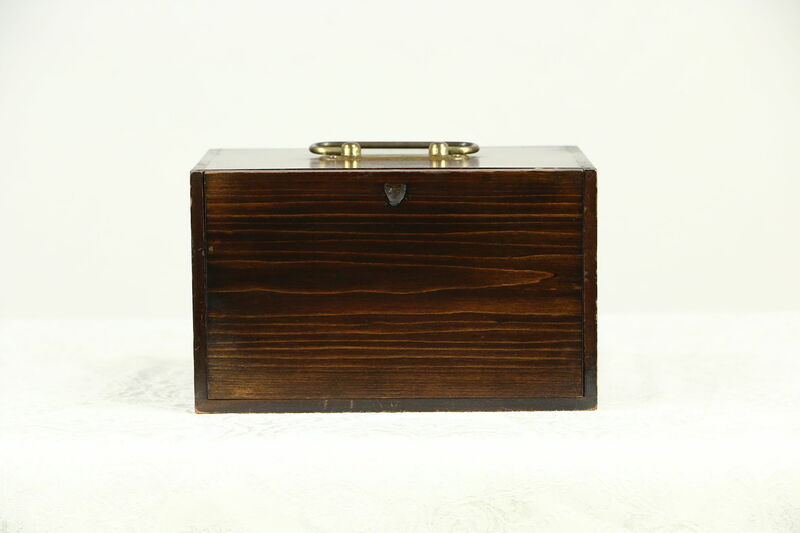 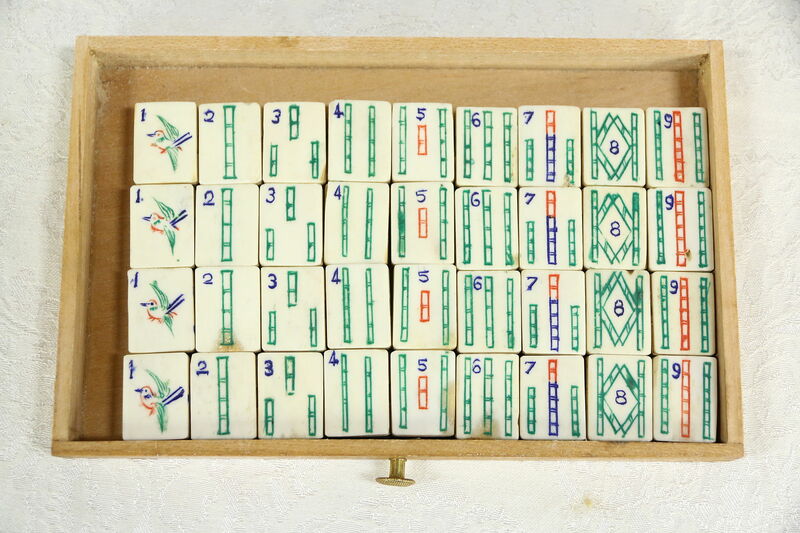 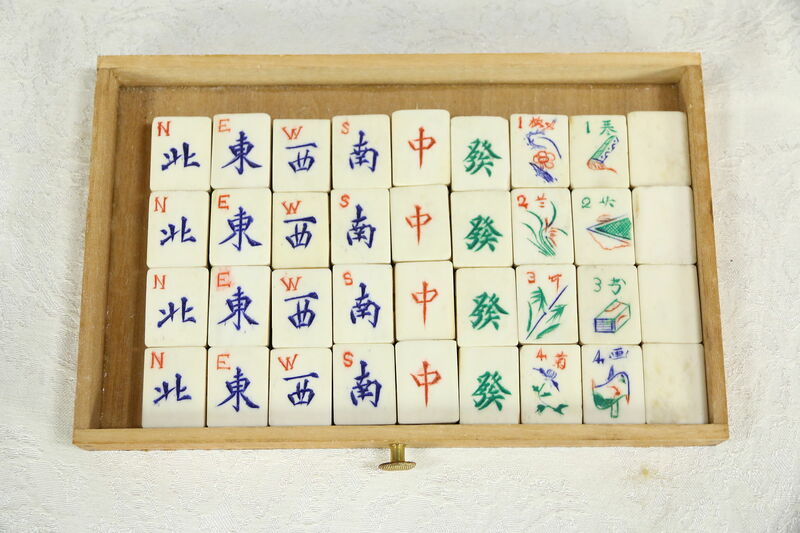 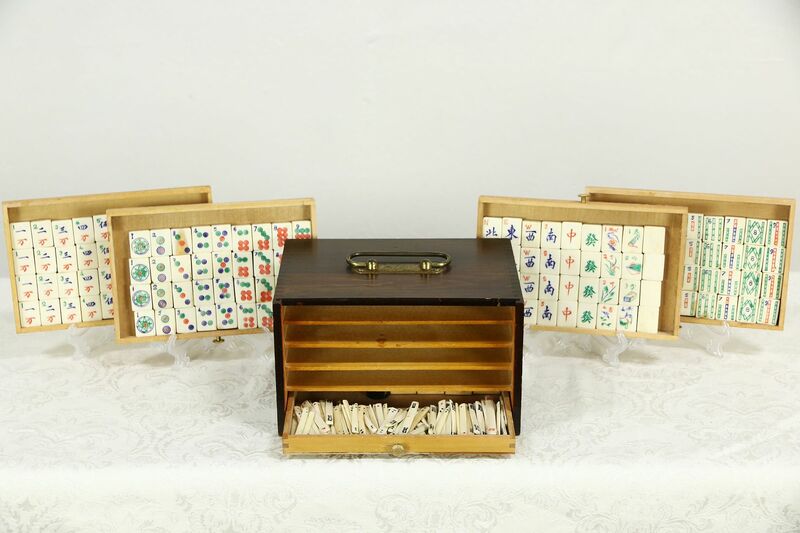 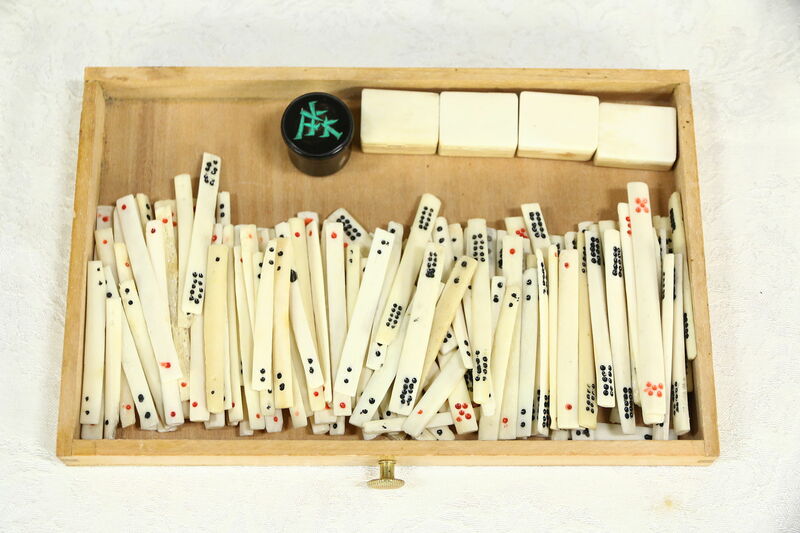 Engraved pieces are dovetailed bone and bamboo in five drawers, it does appear to be a complete set, but we are not players and cannot be certain. 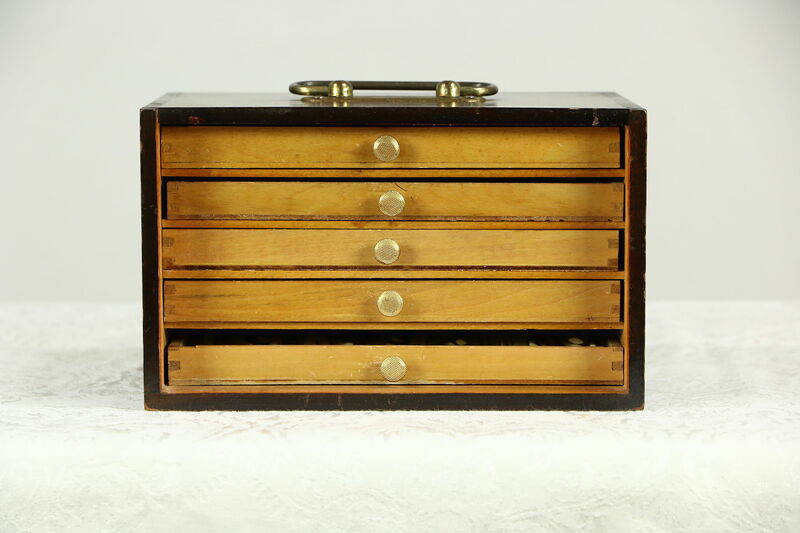 The case has a very fine finish on this antique set from China. 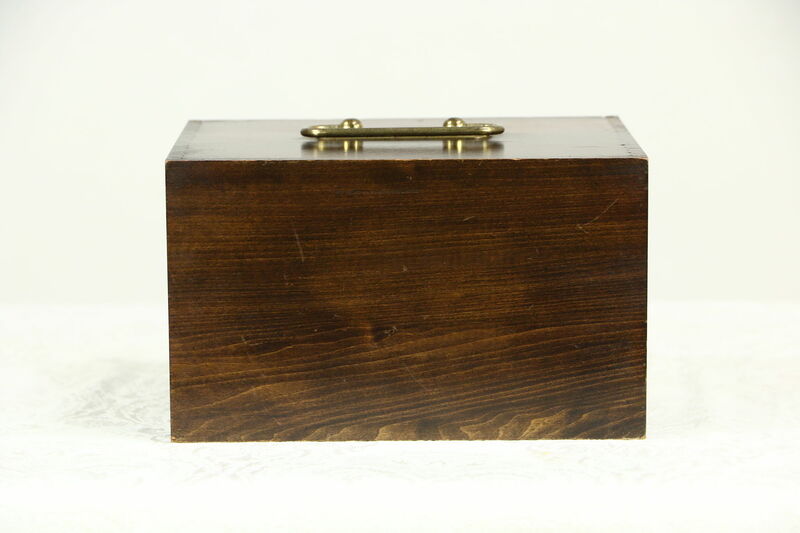 Case size is 9" wide, 6" deep and 5 1/2" tall.